Ah stag parties, and the fantastic stag party games and pranks that go with it. It’s what I truly love in life. If there is anything that gets a night of debauchery and shenanigans, all fueled by beer and shots (Insert drink responsively sentence.. blah blah), going it’s a good stag party game or prank. It’s the stag’s last night of freedom, the last night as a single free man. It can be an emotional night as you celebrate your fallen comrade. 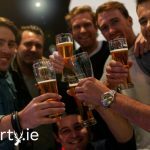 But, not to miss a opportunity for a stag party prank or game, why not encourage the stag to share his emotions and love for the lads by playing the ‘Salty Tongue’ game. The Salty Tongue is a very simple stag party dare and game. The stag must simply lick the armpit of every guy on the stag party. Disgusting I know but that’s the point. Sure it’s the stag’s fault for heading on stag party weekend with a bunch of disgusting messers. He really should have known better. For every armpit not licked he must complete a forfeit. That could be a shot, but that’s probably going to actually taste good, 100 press ups or even a naked run. It’s really up to you and your mates to decide. However, if the stag should rise to this disgusting stag party dare, the person who’s armpit was licked must complete the forfeit. This stag party game is not for the faint-hearted or those who have a weak stomach. There will be dry reaching and probably someone getting sick. 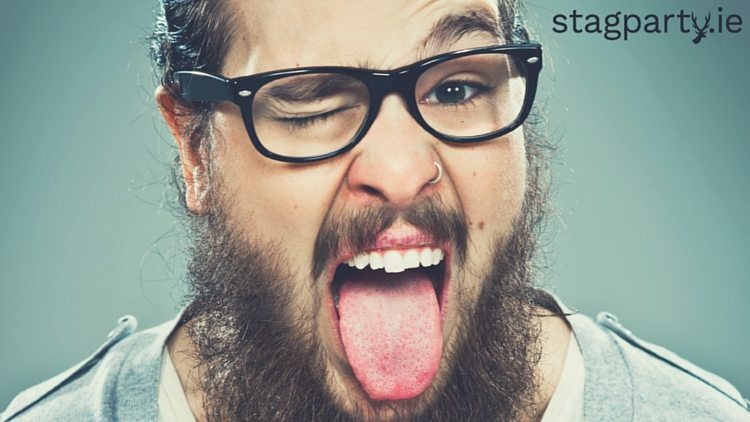 So will you be making your stag play the ‘Salty Tongue’ game?